The odometer on my Jeep passed the 220,00-mile mark about a third of the way across the state. If I were a gambling man (and I’m not—visits to Las Vegas and Reno aside), I would bet that at least ninety percent of these miles were accumulated while driving Nevada’s rural highways. Breaking that percentage down, I’d wager another good chunk of money that at least ten percent of those miles were on dirt and gravel roads. That totals almost 20,000 miles of bouncing along washboard surfaces, blasting through muddy potholes, and sliding across iced-over dirt. During the summer, desert dust fills every crack and crevice of my vehicle. A friend of mine once asked why I enjoy driving into the desert. Work obligations require me to travel out there (my “day job” is in rural tourism marketing), but she also observed how much I enjoy trekking out to the middle of nowhere. “There’s nothing out there—it’s just desert,” she proclaimed, then laughed. My response: “Exactly.” The answer wasn’t entirely correct by any means. 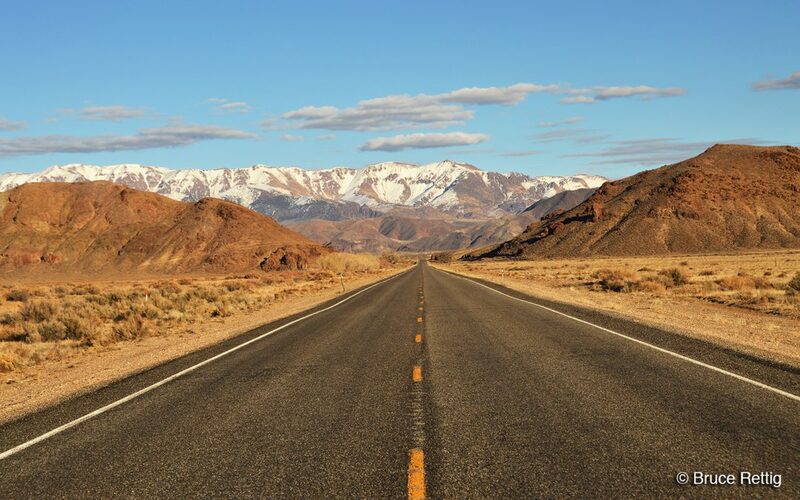 There are plenty of places to explore in Nevada’s high mountain desert, and colorful historic communities are sprinkled across the state. But it’s the “nothingness” that creates a strong motivation to pack up my vehicle with supplies and head into the void. 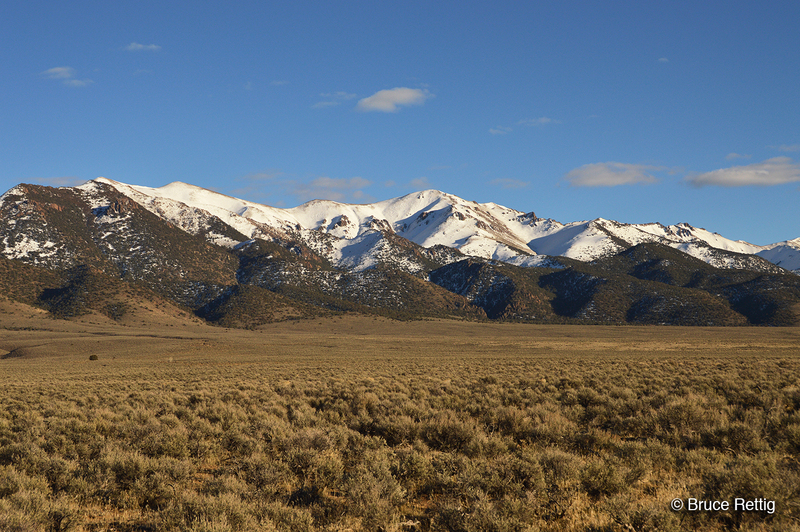 When I first began working in rural Nevada, a client (and later, friend/mentor) from the eastern side of the state recommended several books in order for me to learn about the land. The Sagebrush Ocean by Steven Trimble resonated most strongly. The very title itself pulled me back to my merchant marine days, sailing along Alaskan waters, and a trip across the Atlantic to Nigeria, Africa. In the desert, mountain ranges serve as approaching islands, and rural towns are ports along the way. When my children were young, they often accompanied me on road trips to the desert. Stopping along a rugged dirt road, and asking them to remain quiet and close their eyes, we would listen. After a few seconds, the numbing and complete silence created a smile across their faces. “Wow!” was the general response. In John McPhee’s book, Basin and Range, he states, “Discounting the cry of the occasional bird, the wailing of a pack of coyotes, silence—the great special silence—is pure in the Basin and Range. It is a soundless immensity with mountains in it.” It’s this unobstructed silence and resulting serenity that allow clarity and an opportunity for introspection. 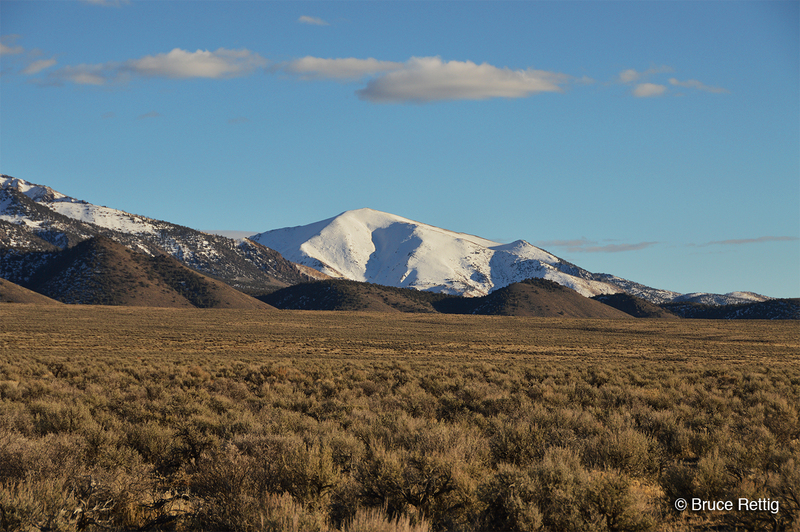 There are fewer and fewer areas in the world where one can get off-the-grid, disconnect, and experience a wide-open expanse like Nevada’s high mountain desert. I hope it remains this way for future generations, fighting off past, present, and future threats such as poorly regulated mining practices, nuclear testing, chemical and biological testing, and increased oil development in environmentally sensitive areas. I’ll continue to decipher notes jotted down on scraps of paper during last week’s road trip, and in the second installment of this post we’ll navigate across the sagebrush ocean to visit some outposts—the rural towns of Nevada—along with some other sites of interest. Another eye-catching peak along the road. Photo taken along Highway 50. “Heard” that silence on a ranch way outside Alturas. You’re right, it’s different. Peaceful yet unsettling. Yes, we’re so accustomed to ambient noise, it’s a bit of a jolt to “hear” nothingness. Alturas is a great place to get off the grid—a lot of wide-open land in Modoc County.